Ever find yourself flying en route on a long leg and start wondering if those storms you were watching before you left had moved at all? How about if the ceilings had come up enough that you could plan for a visual approach instead of an ILS or worse, if they have gone down since your brief to a point that you may need to consider going to your alternate airport? While many of us fly using onboard satellite or ADS-B weather sources, we don’t always have them with, or we may find our signal unreliable or a battery dead, or just want to get another opinion. It is still possible to get a weather update while you are flying en route using your VHF radio to contact either Flight Service or Flight Watch. With both services, a pilot is able to contact a live person whose job is to continuously monitor aviation weather. 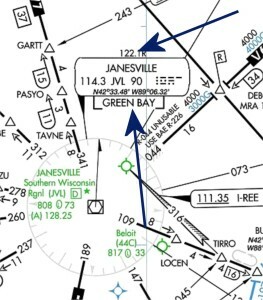 These insights and their continued attention to local conditions can provide valuable insights on trends, current observations, and the forecasted conditions across a route of flight. Both services can provide full weather and NOTAM information just like a telephone briefer on the ground, just in the air using VHF radio communications. Flight Watch (also referred to as En Route Flight Advisory Service) is available on 122.0. While both of these services will be able to provide similar information, there are a couple small differences. 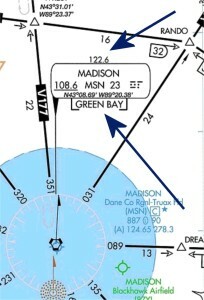 The biggest is that Flight Watch is always available on frequency 122.0, but may not be available unless the pilot is above 5000’ MSL and it is only available between 6am and 10pm while the frequencies for Flight Service are regional and change across a route, but may be available at a lower altitude and are available 24 hours a day. While new technology adds to our in flight data sources, sometimes, the old way is also just as good. It’s a good idea for pilots to remain familiar with these options and keep their skills sharp in case they need to access information using this method of contacting either Flight Service of Flight Watch for en route weather updates. For more information about Flight Watch and Flight Service a good place to start is a review of AIM 7-1-5 which covers En Route Flight Advisory Service.